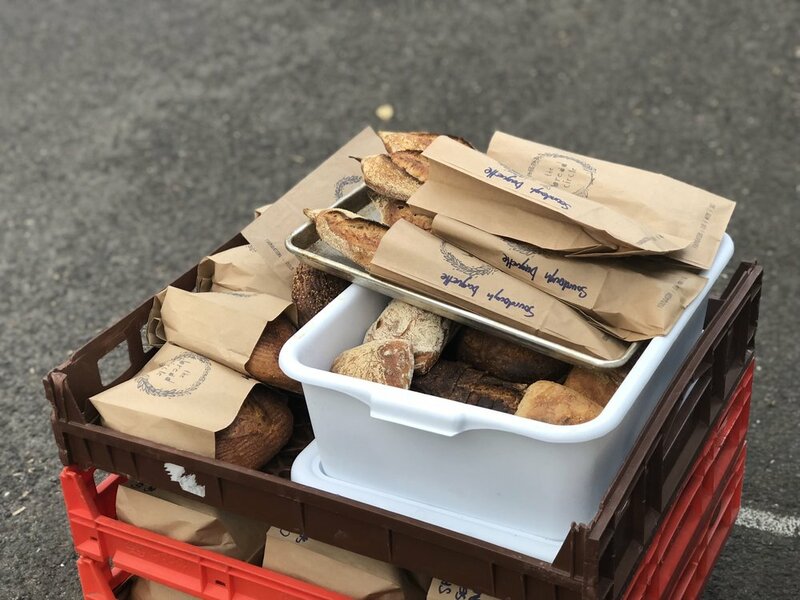 If you live on the Coal Coast, it’s likely you’ve spotted Daniel Watts’ rustic loaves around town. Maybe you’ve enjoyed a few slices of his country-style sourdough alongside your Sunday morning coffee, slathered in butter or buried beneath eggs. 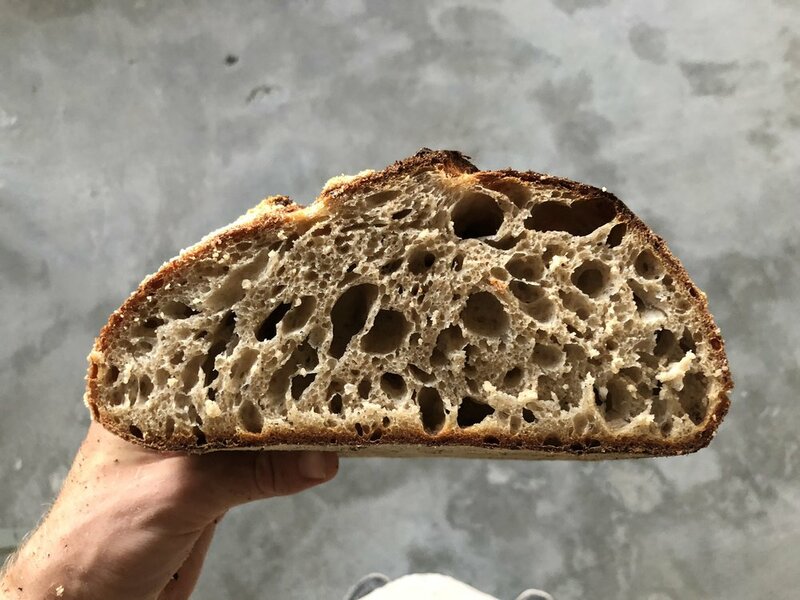 As the unassuming owner of The Bread Circle, a boutique bakery now operating in Austinmer, Dan, 25, is passionate about sharing his love of flour and fermentation. How did you come to be such an avid sourdough breadmaker? I was a chef for some years in Sydney at Three Blue Ducks, and around the place. After getting burnt out from the restaurant industry, I took some time off. I then got back into the industry, helping some friends open their cafe out in Collector, NSW. One of the owners, Lucy, was experimenting and her friend Kate showed me how to mix up some dough. I was hooked from that very first loaf. It was a shocker but I didn’t care. I was fortunate enough to go and spend time over in San Francisco with an incredible team of bakers at a place called The Mill, headed up by Josey Baker (yes, that’s actually his last name). We milled all the wholegrains in-house on a beautiful stone mill built by Josey. When I ate the bread, it blew me away. I thought ‘this is what we are meant to eat every day’. So flavourful and nourishing. Do you miss anything about the restaurant industry? I love food so much and I still cook every day, but working as a chef full-time is hard work. I’m thankful for my time in the industry, especially with the Ducks boys, but I was looking for something calmer, something slower. Bread is wonderful in that respect. It takes so long… each loaf is around 22 hours. You have to chill out, which isn’t easy in today’s madness. So the practice of baking was born of the desire not to leave the food industry forever, but just to find something a bit more chill. I feel so grateful to have found baking – or that baking found me. 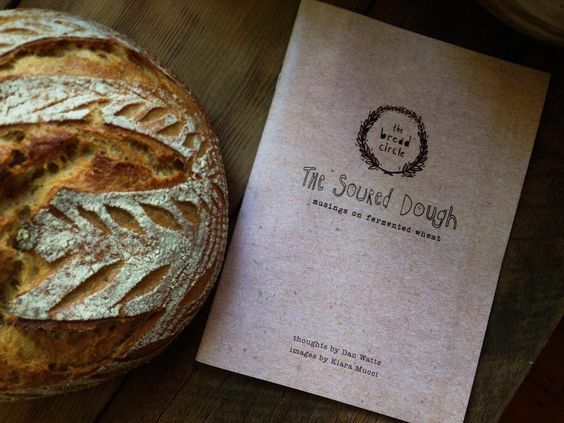 You recently published a zine called ‘The Soured Dough’ in collaboration with local artist Kiara Mucci. Tell us about it! Yes! I also love to write and the zine was formed early in my baking life. I was blown away by all these comparisons between baking and living. Baking sourdough is just facilitating a natural process, like watching a flower grow and die or watching the sun rise and set. There are so many lessons to be learned by trying to quieten the mind and just observe what is happening. Kiara is an amazing person and a very talented artist, she gave the brand its life. She knows me so I just gave her the poetry and the rest was history. 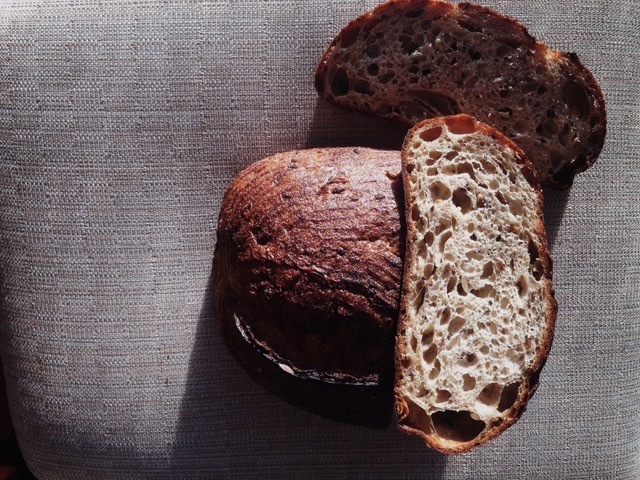 What sets your bread apart from the standard supermarket loaf? Supermarket bread is very difficult to digest and very low nutritionally. The link between this sort of bread and the rapid increase in ‘gluten intolerance’ (not coeliac) can logically be linked to the ‘butchering’ of the wheat industry. I try to source wholesome ingredients – 95 per cent of the wheat used is from a family-owned organic wheat farm in NSW called Whispering Pines. It’s milled on a stone mill when I order. Stone milling is much cooler than roller-milling. All the bread is made using a sourdough culture and the dough is fermented for up to 24 hours, making it very digestible. A lot of people send me messages about how they haven’t eaten bread for years but are fine to eat the bread I make. The foundation is always three ingredients – flour, salt and water. I’m also a huge fan of making wholegrain bread, even my country bread is 50 per cent wholegrain, whereas most bakers will only have 10 per cent. I have a mill in-house which I mill some of the grains on myself. The flavour and smell of freshly milled wheat is so special. What is your favourite toast topper combination? I just love pulling a fresh loaf out of the oven and having it with some really good cultured butter and a sprinkle of sea salt. 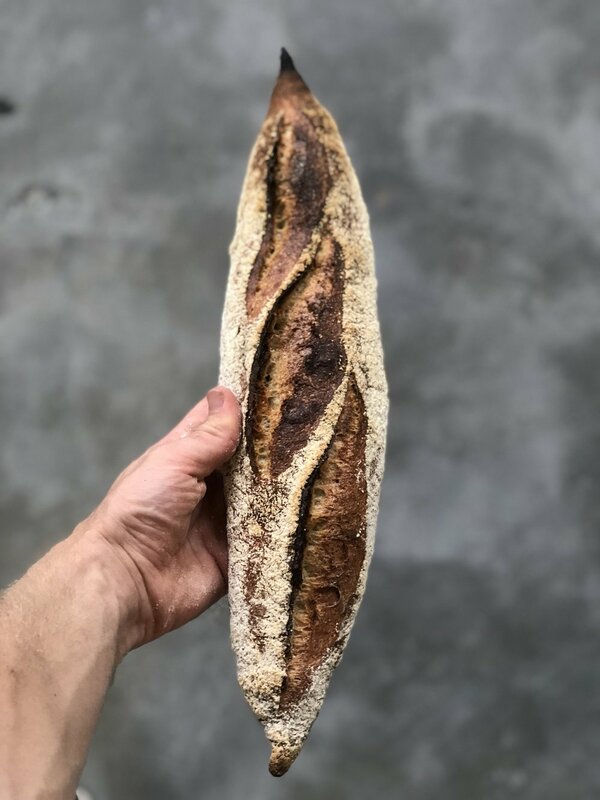 I’ve been pondering the idea of a bigger retail space, but for now I’m just keen on getting better at my craft and making the best bread I can for the community. 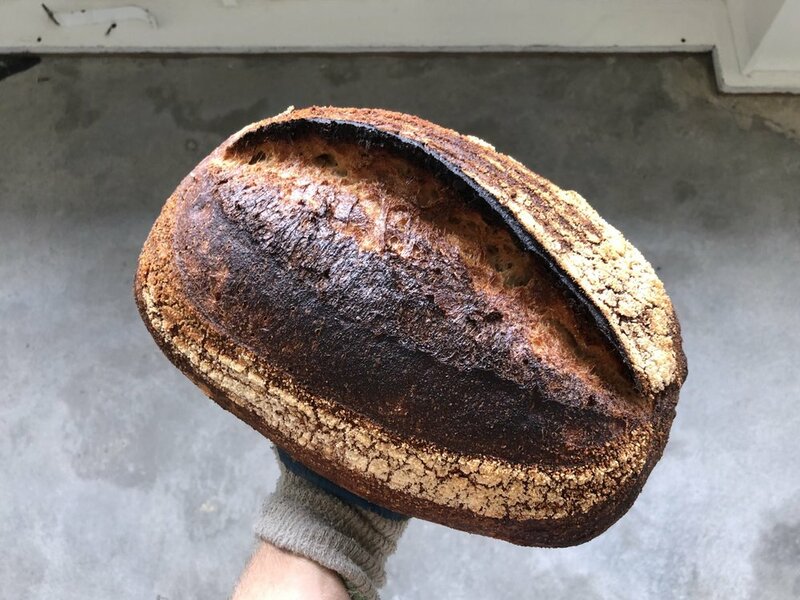 You can find Dan’s loaves at Earth Walker & Co General Store in Coledale, Moore Street General in Austinmer, All & Sundry in Woonona, Two Sisters Garage in Bulli, The Source Bulk Foods in Wollongong, Flame-Tree Co-op in Thirroul and Eclectic Nest Co. in Campbelltown from Thursday to Saturday.